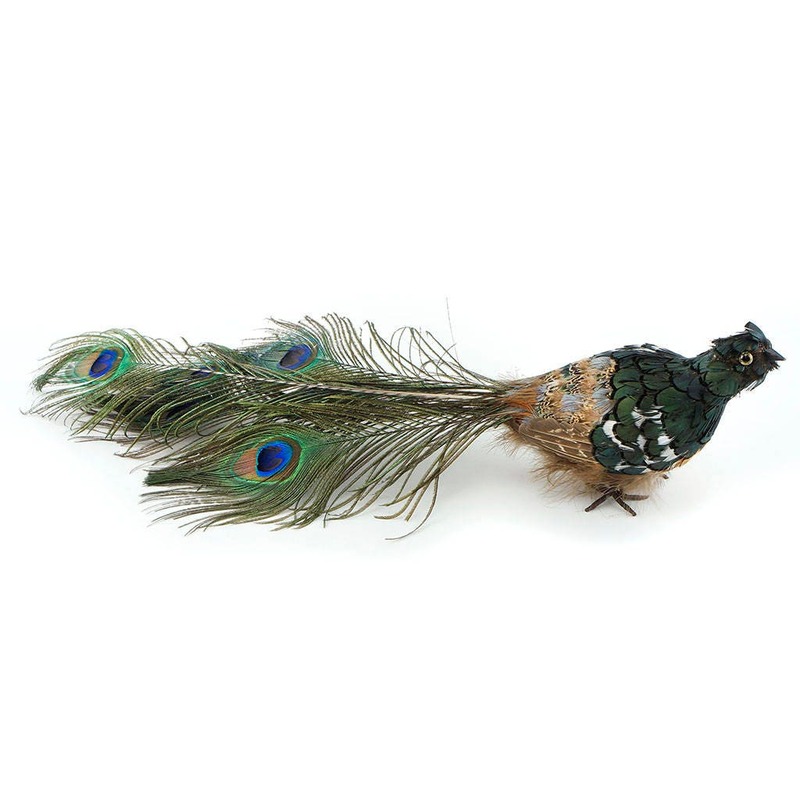 This Peacock Ornament Bird is 19" long, 5.5" tall, approx 6" wide at tail and the body is approx 4" wide. Natural Pheasant feathers cover the Styrofoam body. 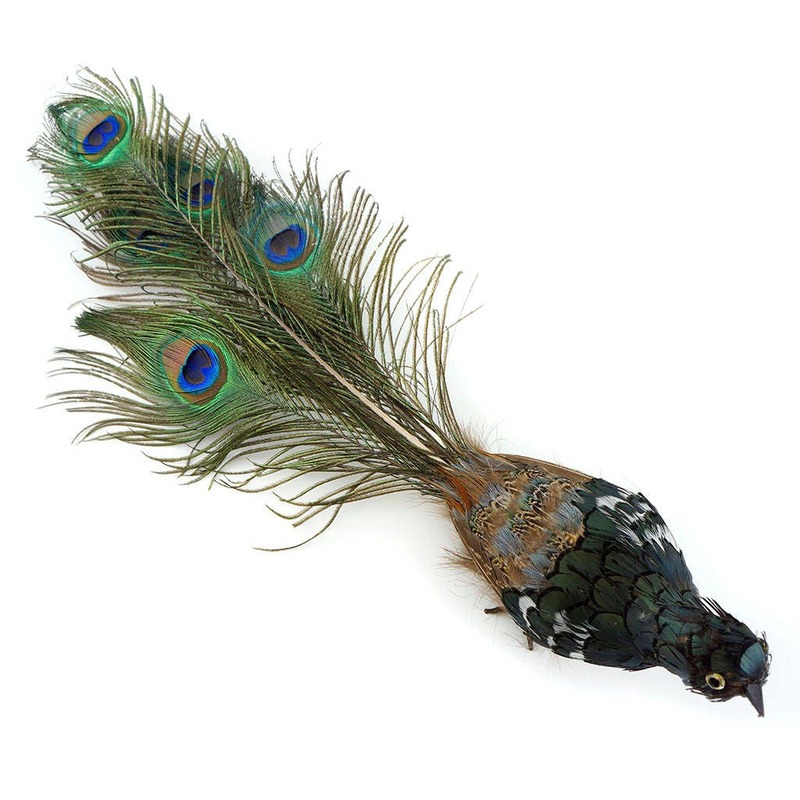 Three natural Peacock eye feathers, in various lengths, make up the tail of the bird. Four small natural Duck cosse feathers are used for wings on each side of the bird. 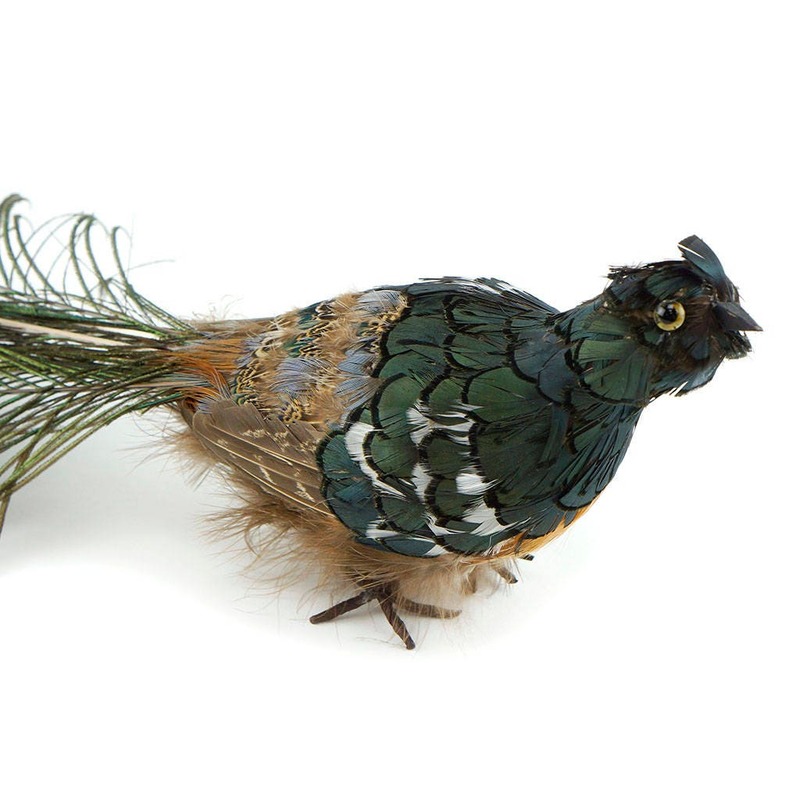 The pheasant feathers used for the body is a combination of naturals including bronze iridescent from Lady Amherst Pheasant, and blue almond and heart from Ringneck Pheasant. Natural brown female Ringneck plumage has been used for the underneath of the body. 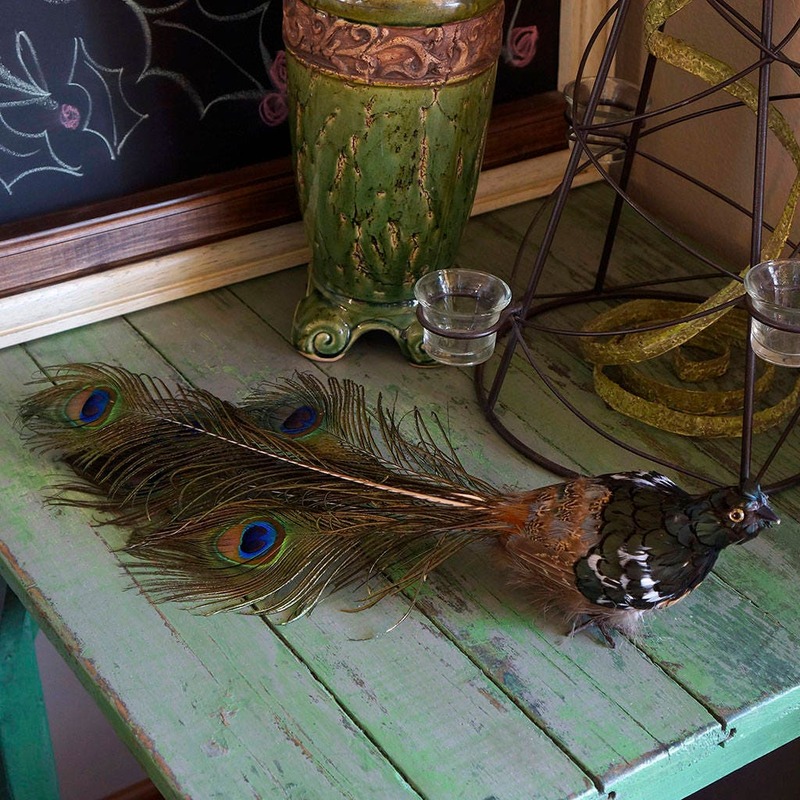 This product is part of our Feather Holiday & Decor - Birds category.